The Year 12 Art Captains Clancy Mercer and Vanessa Thomas have had lots of fun this year running Art Club for the younger students. 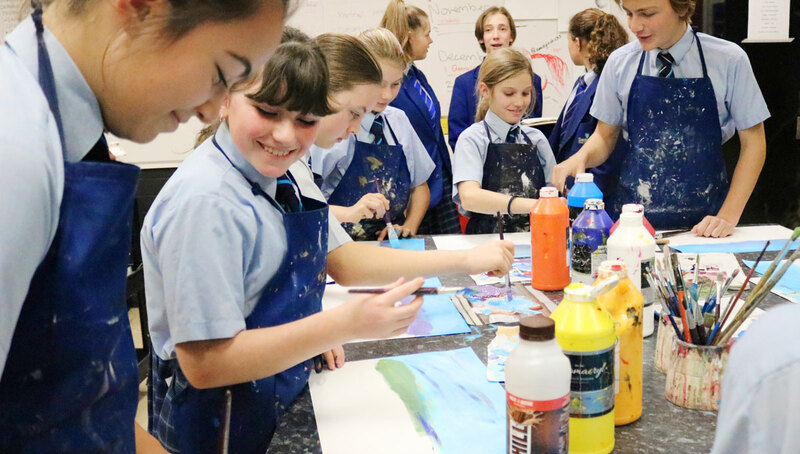 Each week, they organise a different art activity for the students and recently they asked fellow Year 12 art student James-Benson Carè to give a demonstration on painting in the style of Bob Ross. The students have had a great time learning all sorts of new techniques and we look forward to seeing what they do next!